Moist and Soft - Fluffy and Mouth-watering - A good Tea Snack for your kids. Firstly, bring the contents for strawberry juice to boil for 10 minutes. Cool it and then blend to obtain a smooth liquid. Mix the dry ingredients of cake batter together i.e. flour,salt,baking soda,baking powder. Soften the butter using a mixer and add sugar. When soft, slowly add the dry ingredients. Between add the strawberry pulp. Add condense milk and combine well. The batter will be pinkish, if the batter is not moist enough, add 2 tbsp of milk and then combine. Pour the mixture to each cups and keep the tray in a preheated oven at 180 degree Celsius. 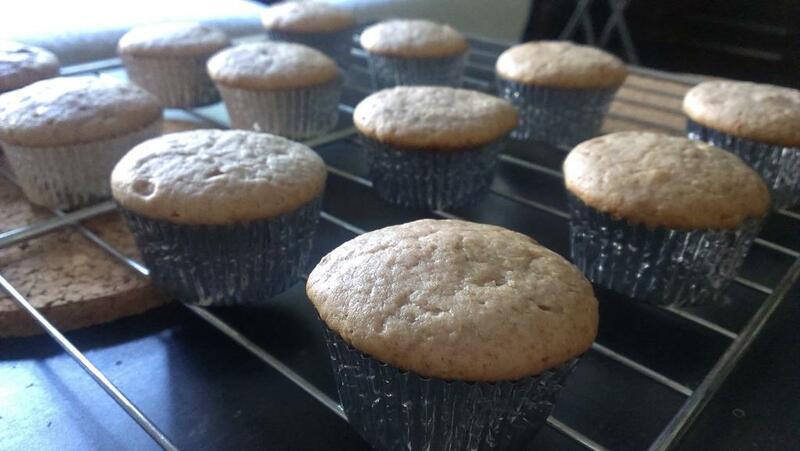 Bake it for 20 mins and the cupcake is ready. Pull it out and place it on a wire rack to cool off. Do not over mix the batter as it becomes stiff. You can top it with strawberry syrup or castor sugar dust. A simple and chop-chop dish that can be served as a breakfast munch. It is a cold sandwich. 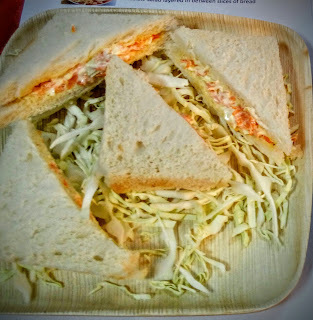 Basically it is the coleslaw salad layered in between slices of bread. Take ingredients 1 – 4 and mix it in a bowl. 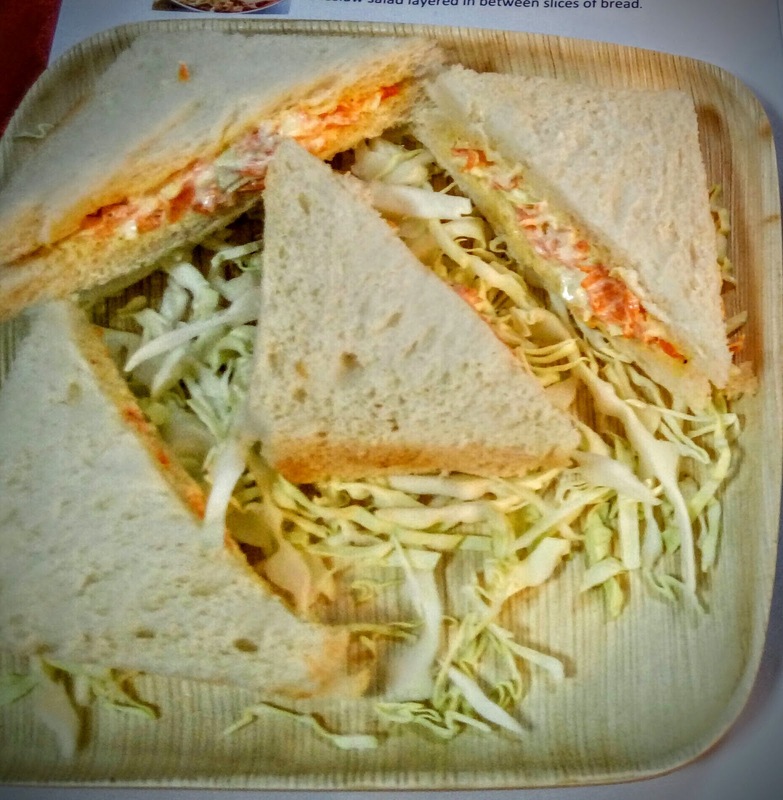 Layer it on a bread slice to make a sandwich. Repeat Step 2 to create more sandwiches. Easy, healthy and a crunchy breakfast. Enjoy! Sicilian-style salad is more heavily dressed than other green salads. Olive oil blends with the juice from the oranges to create a refreshing vinaigrette. It is a healthy and refreshing salad. 2. Cut the peeled orange between membranes to release segments. 3. Toss orange segments, fennel, onion, orange zest and juice and olive oil and in large bowl to coat. 4. Season salad with salt. 5. 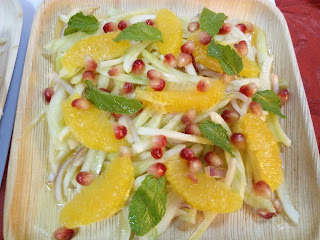 Garnish it with mint leaves and pomegranate seeds. 6. Transfer salad to platter. ﻿The Masoor Dal Curry ( lentil soup) is a delicious vegeterian food which is very healthy. It can be served as a soup or as a curry along with roti/ chapathi/ basmati rice. Wash the dal . Add the ingredients 1 to pressure cooker. Keep it in medium flame. After the first whistle, keep for another 8 minutes in low flame. Switch it off and wait until the full pressure is released. Meanwhile, you can prepare the garnish. First, put the pan on the stove. Pour oil. When hot, add clove , cardamom, cinnamon, onion, garlic, ginger, chilli. Saute it until onion turn transparent and soft. Add the Masala mix and stir till the aroma of the masala comes out. To it add the tomatoes, stir until it is soft and the juices evapourate. Add a pinch of salt. Note that you have already added salt in pressure cooked ingredients. So add salt accordingly. To the pressure cooked dal, add the garnish and bring it to boil. Add coriander leaves. Now it is ready to be served. It goes well with Chapathi/roti/basmati rice. A salad is a good filling for your tummy. Give it a try and enjoy. Take the bread slice and cut in small cubes. Drizzle the butter over the bread cubes. Place in the preheated oven at 180deg C for 10 min. 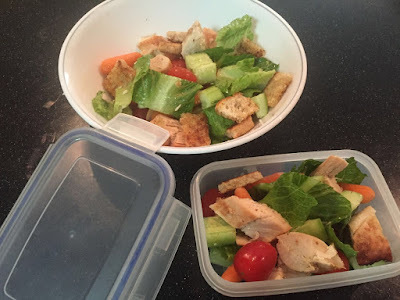 Croutons are ready. Toss all ingredients together. Mix in the passion fruit pulp to the salad. 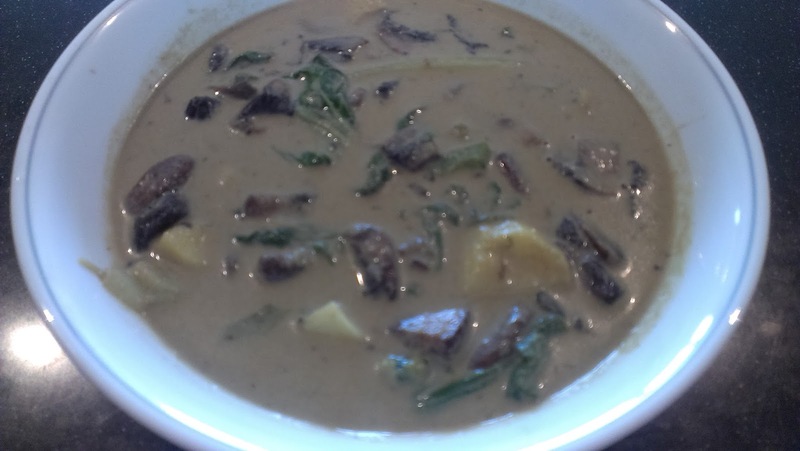 This is a dish cooked in thick coconut gravy. Its a variant of stew. The main ingredient is the green curry paste which enhances the taste. Make a paste from the ingredients mentioned under the green curry paste. Saute the mushrooms and potato in oil. Add the paste to it. Then add the soy sauce. Stir it and add the coconut milk. When the mixture comes to a boil add the bok choy leaves. Add salt as required and cook until the leaves are wilted off. Serve hot with cooked jasmine rice.